UNDER NEW MANAGEMENT. 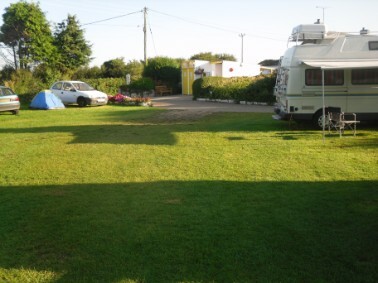 Balnoon Camping Site is a small quiet, friendly, sheltered, level campsite situated in the countryside with magnificent views of adjacent rolling hills. Situated approximately 2 miles from the beautiful beaches of St Ives and Carbis Bay. Balnoon is a traditional camp site and has been established for over 50 years and continues to run as a family business. Near by we have a lovely range of pubs, restaurants, beaches, art galleries, horse riding, golf, tennis, swimming, gardens, windsurfing, diving, surfing, fishing, coastal paths and tourist attractions. St Ives is 2 miles away, which is accessible by road or by a beautiful walk through the countryside. Penzance is 6 miles away where day trips to The Isles of Scilly can be taken on the Scillonian III passenger ferry and off-shore at Penzance is the famous St Michael’s Mount. Located above Porthmeor beach is the Tate St Ives, recently refurbished. This beach is also a world class surfing beach where you can find the fantastic St Ives Surf School. The Minack Theatre is a don’t miss tourist attraction, even if they are not showing any performances, it’s surrounded in natural beauty and the story of Rowena Cade is totally fascinating. The award winning Eden project, near St. Austell is well worth a visit about a 45 minute drive away.